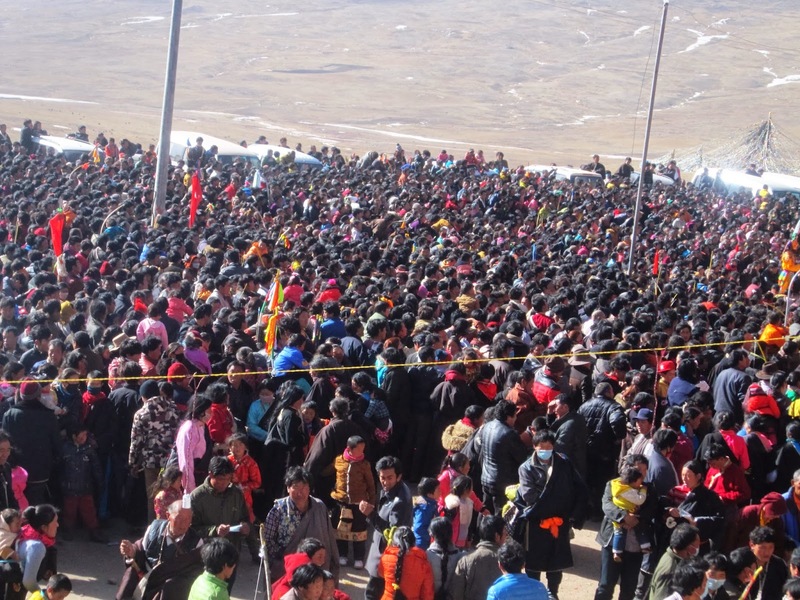 Thousands of Tibetans gathered this week at a monastery in northwestern China’s Qinghai province to appeal to religious authorities to push for the release of a popular religious figure detained for more than two months in the neighboring Tibet Autonomous Region, sources said. 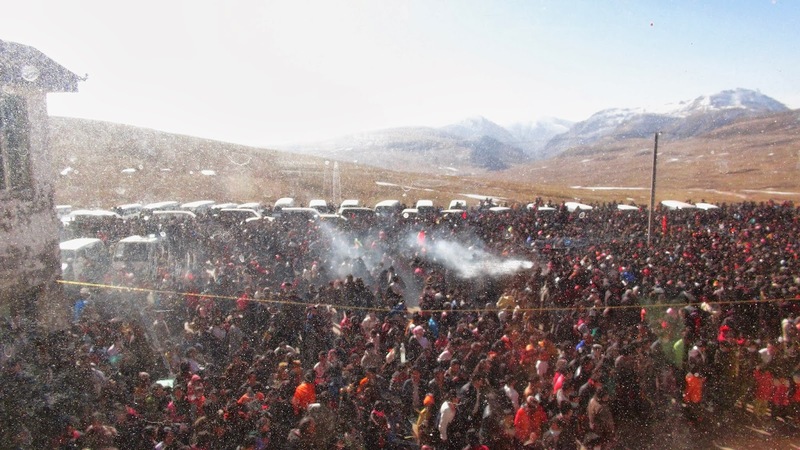 The demand for action in the case of Khenpo Kartse came at the conclusion of a five-day prayer festival held at Japa monastery in Nangchen (Nanqian) county in Qinghai’s Yulshul (Yushu) Tibetan Autonomous Prefecture, a local source told RFA’s Tibetan Service on Thursday. 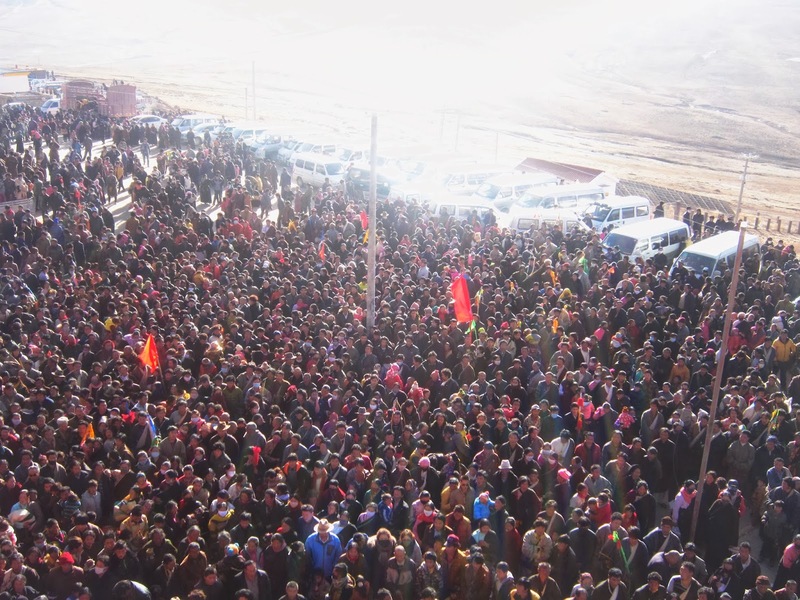 On Wednesday, from 10:00 a.m. to 3:00 p.m., several thousand people from Nangchen, Kyegudo, and surrounding areas launched a sit-in protest “to express their indignation and disappointment at the lack of clear explanations from authorities on the status of Khenpo Kartse,” the source said, speaking on condition of anonymity. “They are losing patience,” the source said. The crowd finally dispersed after being assured by the monastery’s management committee that they would “address the people’s concerns within a few days,” he said. The demonstration followed several similar protests on behalf of the detained monk staged in January and at the end of last year, and was the largest held so far. Sixteen Japa monastery monks held since the end of December after protesting in Nangchen against Khenpo Kartse’s detention were later released, with the last group freed on Jan. 21, sources said. 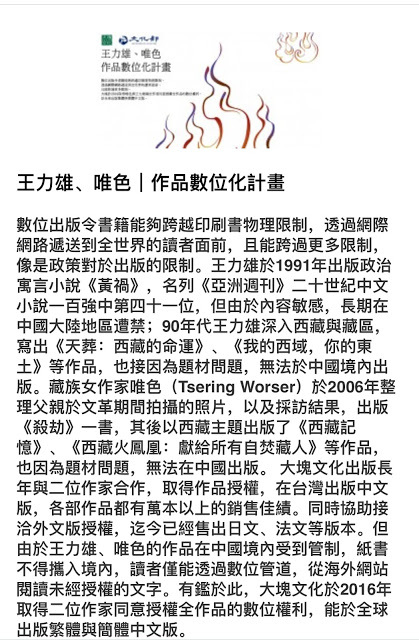 A total of 126 Tibetans have also set themselves ablaze in self-immolation protests calling for Tibetan freedom since February 2009, with another six setting fire to themselves in India and Nepal. Reported by Dolkar for RFA’s Tibetan Service. 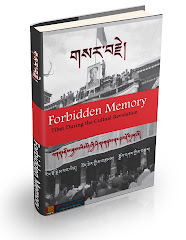 Translated by Dorjee Damdul. Written in English by Richard Finney.